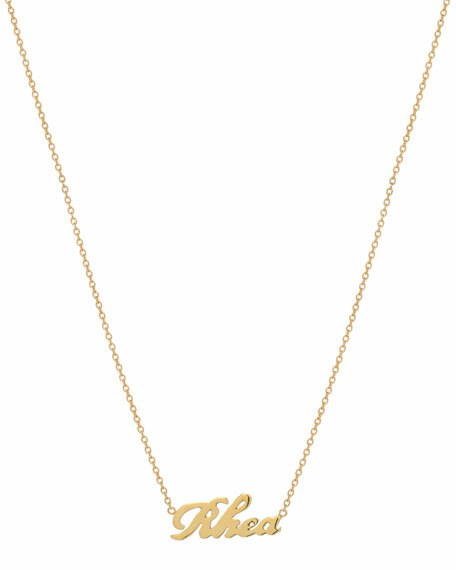 Personalized script necklace by Zoe Lev Jewelry. 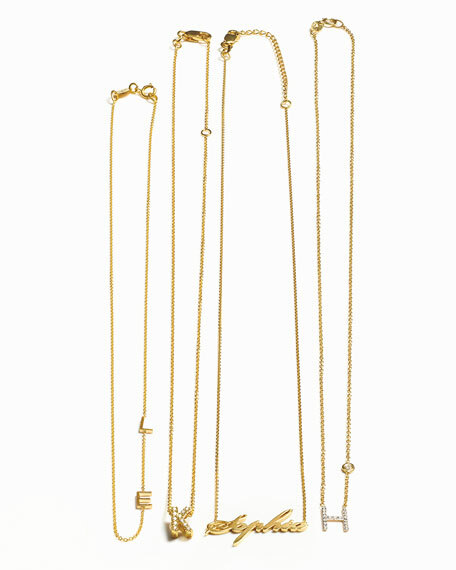 Polished 14-karat gold rolo chain and hardware. Integrated ID name pendant in script font. Choose up to 10 characters.